Determined Quinte activists, young and old, send Todd Smith a message. But does anyone in the Ford government actually listen? Helping to educate future generations tackle the growing concern of climate change and raise awareness on supporting renewable energy was the goal behind the Earth Hour Walk and Rally on Friday. About 80 people, including a small group of students from Centennial Secondary School, participated in a walk entitled “Earth Hour: One Message, One Voice,” and an educational rally to raise awareness on the realities of climate change and what kind of impact it will have on the younger people growing up. 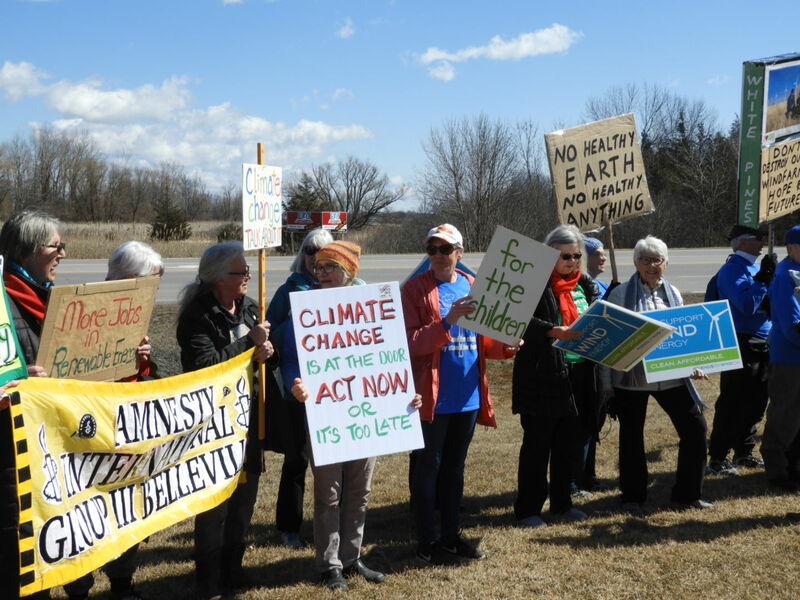 The group marched from Zwick’s Park in Belleville, across the Norris Whitney Bridge to Todd Smith’s constituency office in Rossmore to hear speeches and view displays showcasing why people should be supporting renewable energy sources such as wind turbines, solar panels and other eco-friendly initiatives. The group says they are not happy with the provincial government’s cancellation of renewable energy projects like the WPD White Pines Wind Farm Project in Prince Edward County. 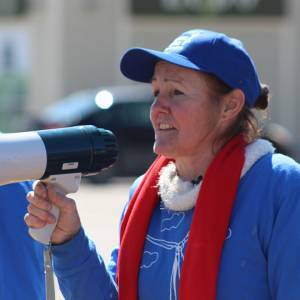 One of the organizers, Jen Ackerman, says she was generally pleased with the turnout, and was especially happy with the youth’s initiative to make their voices heard for their future. Prince Edward Councillors should hang their heads in shame. 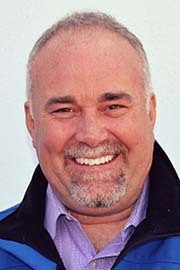 Todd Smith, Minister of Economic Development, Job Creation and Trade, whose claim to fame is stifling employment and sustainable development in Prince Edward County by shutting down the White Pines Wind Project that consists of 9 wind turbines with a nameplate capacity of 18.45 megawatts (MW) of emissions-free renewable energy . Climate emergency? What climate emergency? Where is the county’s climate emergency plan? Where is the coordinated leadership to address climate mitigation and to inspire conservation, green growth and climate action? 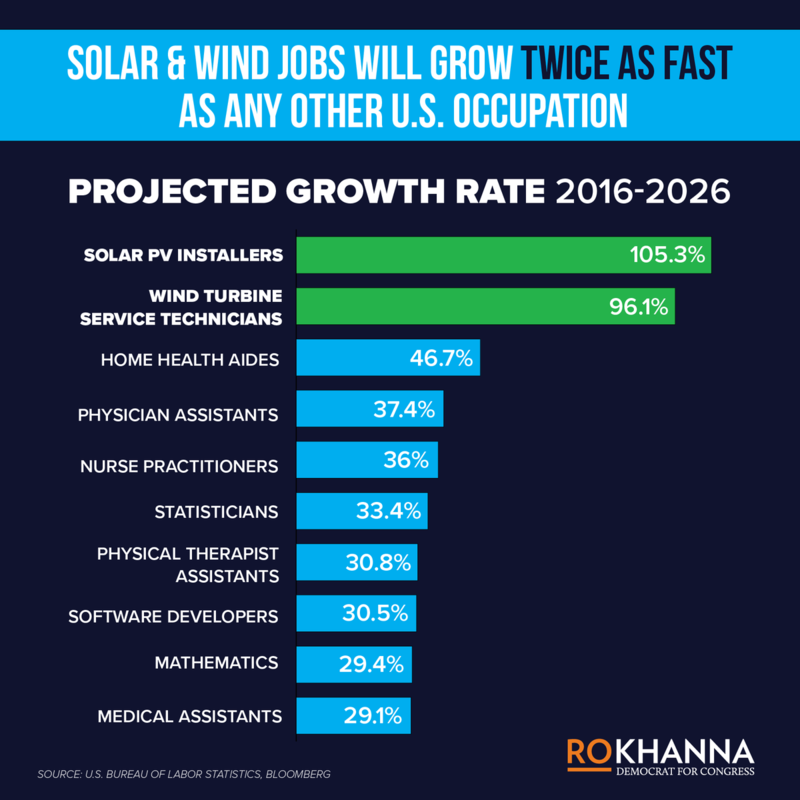 Where is the County’s New Green Deal? While 100+ Cities Commit to Clean with 100% Renewable Energy and cities are leading the fight against climate disaster–not in Prince Edward, where councillors sleep the good sleep after filling potholes. Time for leadership? Not so much. MPP Todd Smith’s office was the scene of a protest and educational gathering this afternoon (Friday). 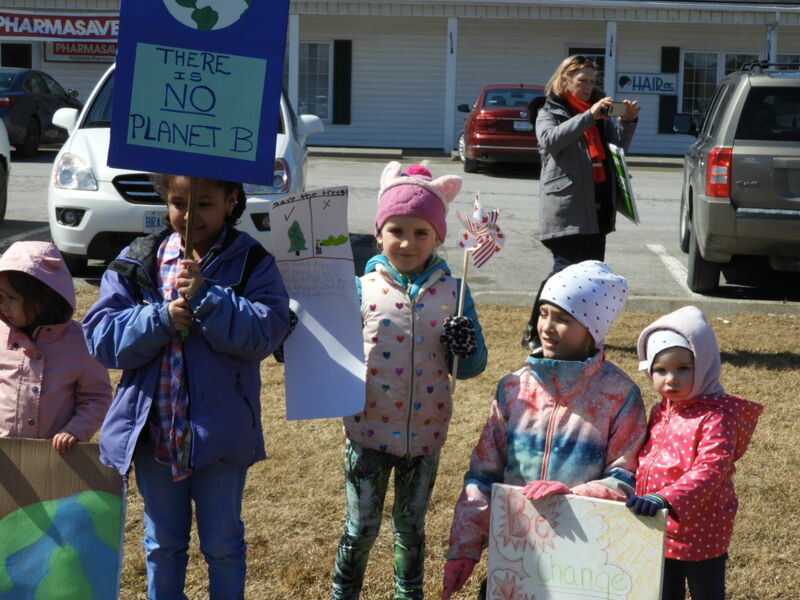 In bright sunshine, about 60 people, young and old, waved signs as they participated in an Earth Hour March from West Zwick’s over the bridge to Rossmore. 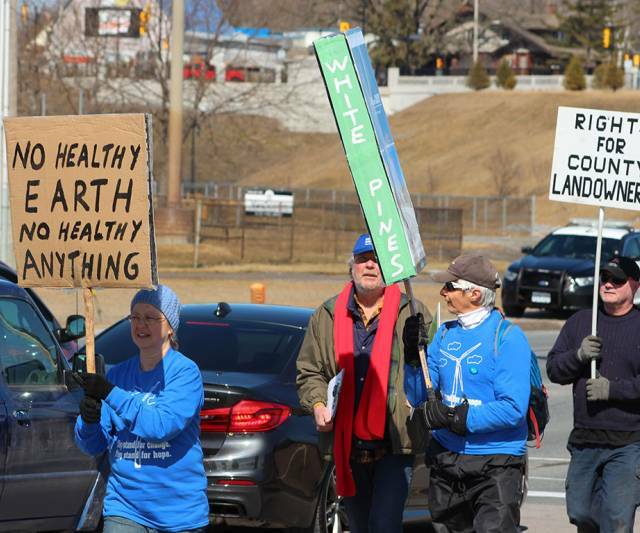 The marchers don’t agree with the provincial government’s cancellation of hundreds of green energy projects including the White Pines wind farm in Prince Edward County. The marchers waved signs reading “We Support Wind Energy”, “Climate Change is Real”, and “Keep the Earth Icy not Spicy”. Harley Boyce thought taking part in the Earth Hour March was important enough to miss a couple of classes at Centennial Secondary School. Ontario PCs Want To Stop Tracking Toxins. Experts Say It’ll Cost Us Our Health. The government plans to repeal the Toxics Reduction Act, which makes companies report on their use of toxic chemicals and pollutants. TORONTO — Environmentalists say Ontarians can expect more pollution if the Progressive Conservatives go through with their plan to repeal a toxic substances regulation. “Exposure to toxic chemicals such as hormone disruptors and air pollutants adds billions of dollars in health care costs and significantly increases the burden of chronic diseases such as cancer and asthma,” Tim Gray, the executive director of advocacy organization Environmental Defence said in a statement. Schedule 5 of the government’s proposed Bill 66 repeals the Toxics Reduction Act (TRA). The 2009 act requires companies that use toxic substances, including those that can cause cancer, to create a plan to reduce that use. Whether or not they actually implement the plan, though, is voluntary. About 40 per cent of facilities have done so. Author gaianicityPosted on March 25, 2019 Tags air pollution, cancer, Doug Ford, health care costs, hormone disruptors, Todd Smith, toxic chemicals, Toxics Reduction ActLeave a comment on Ontario PCs Want To Stop Tracking Toxins. Experts Say It’ll Cost Us Our Health.